Why Emerald Ring for Engagement? Lots of stuff is happening around. Summer is approaching fast. Temperature is rising (at least where I live) and Coachella’s ridiculous fashion is making headlines. Oh! How can forget to mention the Down Under tour of royals? That’s my favorite. Have you seen the emerald green dress of Kate Middleton which Prince William reportedly found a bit bright? For me it was a perfect emerald for the spring. And it reminded me of the beautiful emerald engagement rings trending for this season. These days three of my friends are expecting to have surprise proposals and two of them want a unique engagement rings specifically studded with emeralds and diamonds. They even dropped hints for their beaus. I hope the guys will understand the hints. 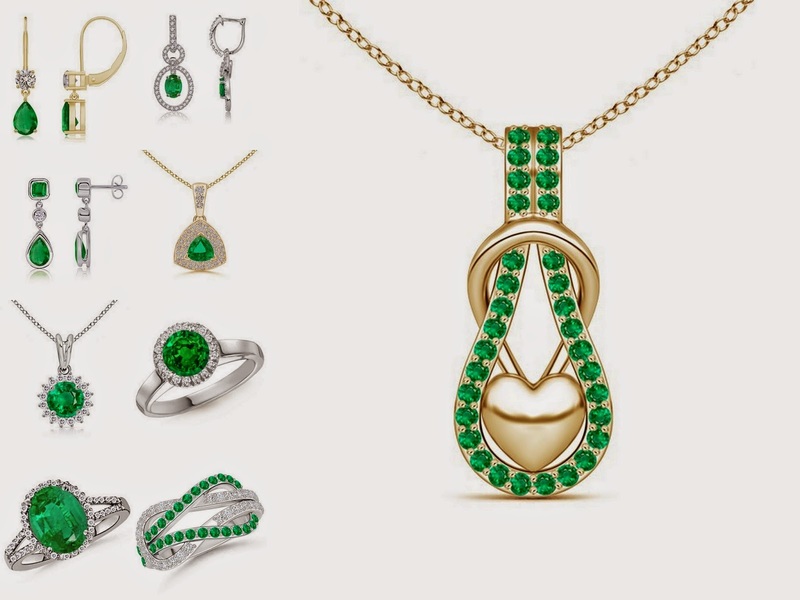 It’s the enchanting green of emerald and its natural beauty that make emerald jewelry so awesome. Even I owe a pair of emerald earrings and a pendant, and I love to where them often. Actually, the pieces are so versatile that they fit perfectly with every outfit. If you think emerald is not a star choice, check out the celebrity engagement rings. From vintage and retro eras to modern times, royals and celebrities have flaunted exceptional emerald rings. 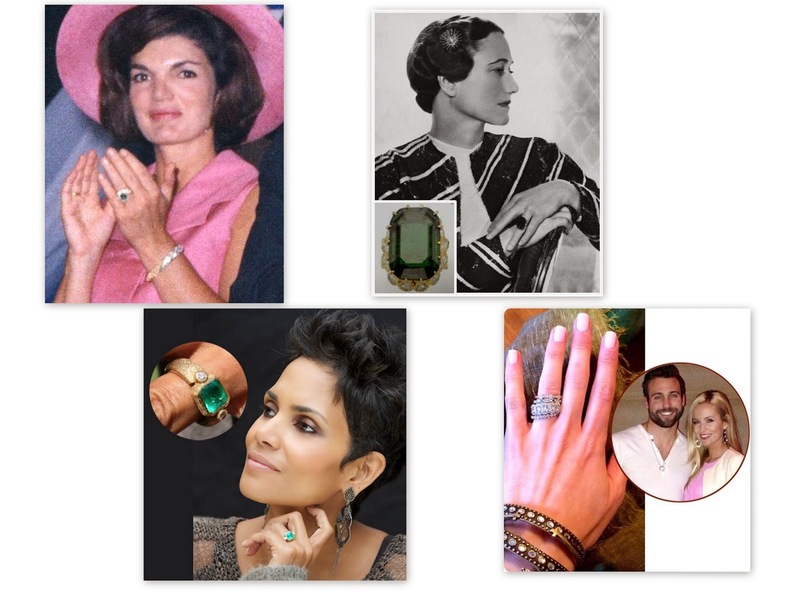 Jackie Kennedy, Wallis Simpson, Halle Berry and most recently Emily Maynard are the proud owners of unique emerald ring. If you are planning or expecting a proposal, anything from three-stone engagement rings to exquisite vintage pieces would be wonderful. As the gemstone signifies youthfulness, new beginning and eternal love, it’s just perfect to make a milestone moment.